Autism Spectrum Disorder (ASD) affects countless individuals, families, schools, and communities across the country. In 2018, the CDC determined that one in 59 children is diagnosed with ASD in the United States. The same study concluded that boys are four times more likely to be diagnosed than girls. It is now known that ASD can be reliability diagnosed prior to age two; however, in most cases diagnosis occurs after age four. Children with autism require varying degrees of care from their caregivers, therapists, teachers, and health providers. 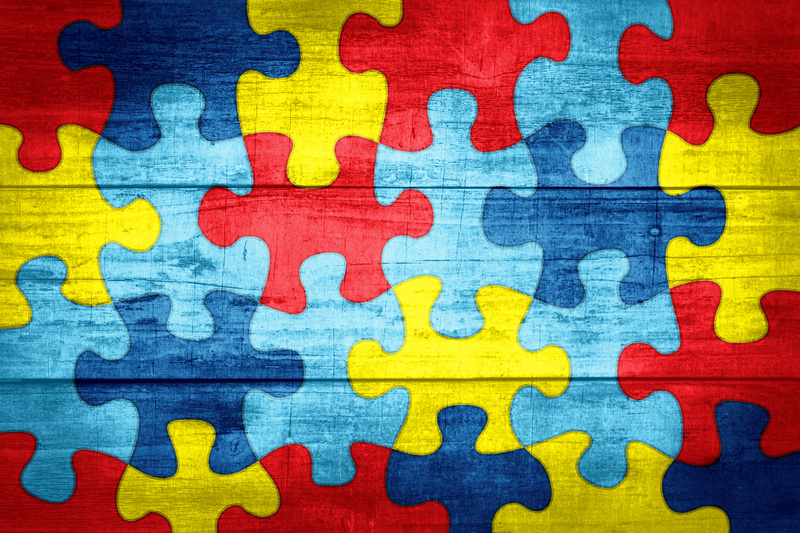 It is essential that whoever is working with a child with an ASD diagnosis considers their unique needs, understanding that there is not one type of autism, but many. Often, children with autism and their families live too far away from care and support or cannot access it due to high costs, limited availability, and other circumstances. Telehealth can serve as a wonderful resource for the ASD patient and their family as it can be utilized for diagnosis, therapy/treatment, and caregiver education. It is likely a promising solution to help close the gap between service demand, availability of resources, and access to quality care. Telehealth can play an essential role in the early detection of ASD. Early detection is vital to helping a child with autism, and research has shown early diagnosis can significantly improve a child’s overall development. Research supports that young children who receive early behavioral intervention (before two years) demonstrate substantial gains in functioning when compared to children diagnosed later. Autism can be identified as early as 18 months of age and telehealth can be used to augment the process and ensure that successful, early diagnosis is achieved. Ideally, all children would be screened for ASD in their second year of life, and those identified as at-risk would subsequently receive comprehensive evaluations followed by treatment tailored to their distinct strengths and challenges. Large numbers of children are not screened for ASD at all. Specialist wait times for those that do seek screening and diagnostic testing can be tremendous. These constraints are often compounded by low availability of specialists (especially in underserved communities). Up to 40% of children and families from low resource communities struggle immensely to access evaluation and diagnostic services. In a recent study, researchers compared telehealth diagnostic accuracy to blinded gold-standard in-person evaluation. All ASD diagnoses identified via telehealth were confirmed by in-person evaluation. Remote clinicians accurately identified 78.9% of all children who ultimately received ASD diagnoses. These findings indicate that preliminary telehealth evaluation can be a feasible diagnostic tool for young children and can also be a valuable resource for families in rural areas where access to qualified specialists is not possible (or possible only by substantial and unrealistic effort). Applied Behavior Analysis (ABA) therapy is a common therapy modality and best practice used for children with an ASD diagnosis. ABA, a therapy based on the science of learning and behavior focuses on increasing behaviors that are helpful and decreasing behaviors that are harmful or affect learning. ABA therapy focuses on positive reinforcement and teaching skills of everyday life: how to deal with conflict, brush teeth, or make eye contact. It is a flexible treatment that is perfect for children with autism as it can be adapted to meet the requirements of each child; each therapy plan is designed specifically to the child’s needs and changes as those needs evolve. It can be provided in many different locations, at home, at school, or in the community. Like many aspects of health care, ABA treatment is often difficult to access for people living in rural and/or underserved areas. There is a shortage of therapists across the country, even in the most populated and medically advanced regions. The dearth of qualified therapists in rural communities is especially problematic. This shortage is a challenge that telehealth can address well - filling the missing piece of the puzzle. With telehealth, parents, caregivers, and teachers can be trained on how to deliver quality ABA therapy to their children and children in their community. One study found that parents can successfully use functional analysis (FA) and functional communication training (FCT) to treat moderate to severe behavioral problems associated with ASD regardless of whether treatment is directed by behavior consultants in-person or via remote video coaching. The study, which analyzed 94 children with ASD, tested the efficacy of utilizing telehealth to train parents in ABA procedures. The findings of this study indicate that telehealth can be used to successfully train parents in how to implement FA and FCT best to reduce their child’s problem behaviors, supporting that telehealth can be used in lieu of in-person visits to a specialist. In order to provide quality treatment to children with autism, speech language pathologists (SLPs) assess developmental norms in attention/listening, understanding receptive language, expressive language (vocabulary and forming sentences), and how children use language pragmatics and social communication. Speech language pathology and language assessments are very important for a child with autism, as many have difficulties with both speech and non-verbal communication. 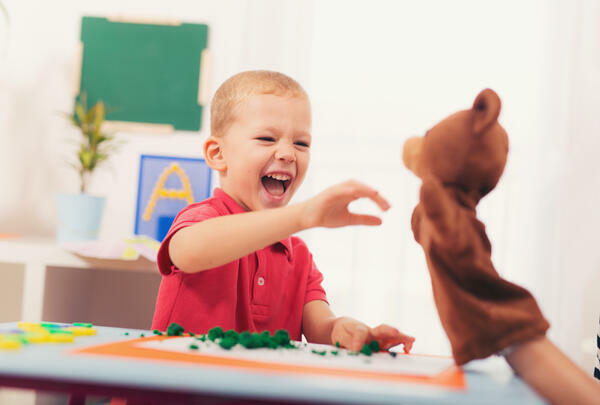 Speech therapy is often a central part of treatment for autism, as it addresses a wide range of communication problems, and aids the child in learning to communicate effectively in his/her unique way. A recent study evaluated the effectiveness of telehealth language assessments by certified SLP’s for 13 children with ASD (these children were also assessed face-to-face by an SLP to provide comparison). Of the 13 assessments, 12 were completed in full. The study evaluated the reliability of language assessments delivered via telehealth, while also evaluating the feasibility of providing these assessments by observing behaviors of the child including the level of activity, distractibility, and signs of anxiety. The results from the telehealth assessment group and the face-to-face assessment group were similar. These results indicate that the telehealth system was reliable for the formal assessment of language in children diagnosed with ASD. The research noted individual differences in the behavior of the children with autism across both the telehealth and face-to-face conditions, but there was no clear difference as a group between conditions. These findings suggest that telehealth can be used for the assessment of children with ASD; however, it is important to consider the individual differences and needs of each unique child. In many areas across the country, parents and caregivers do not have access to training on how to properly care for a child with autism. Many children with ASD experience behavioral problems such as tantrums, noncompliance, and aggression. These behaviors can limit the child’s ability to benefit from education, and habilitative services may also increase social isolation. A recent study examined the Research Unit on Behavioral Interventions (RUBI) Autism Network’s Parent Training (PT) program for 14 families with 14 children with ASD between the ages of 3 and 8. The RUBI-PT program takes on a skills-based approach by teaching parents an array of behavioral strategies (including antecedent management, reinforcement, compliance training) to target a range of behavioral issues (aggression, tantrums, noncompliance), as well as skilled deficits (toileting, feeding, sleep issues). At the end of the study, 13 of the 14 families had completed treatment, and 11 of the participant children were rated as “much” or “very much improved” by an independent evaluator. All 13 caregivers who completed the program reported greater confidence in their ability to manage current and future disruptive behaviors, and all 13 indicated that they would recommend the program to other parents of children with ASD. Findings from this study suggest that RUBI-PT can be delivered reliably with high rates of engagement and satisfaction to caregivers off-site and the child/parents. Importantly, these findings support the theory that telehealth can be an excellent resource for the ASD caregiver and consequently for the family and child. Using telehealth, children with ASD and their families can access services quicker and avoid long wait times addressing the challenge of limited access to qualified providers. Telehealth can equip parents and caregivers with the skills to best care for a child with autism, empowering them to provide that child with the care they need and deserve. Telehealth for ASD is a frontier that must be explored further, and one that should be considered by providers and patients alike.